Gold's Gym awarded its new fitness ambassadors at the finals night of BodyCon 2016 held at Novotel Hotel Manila at Araneta Center, Cubao, Quezon City on November 30, 2016. Joaquin Pedro Valdes is Mr. Gold's Gym Philippines 2016, while Hilary Isaac is Ms. Gold's Gym Philippines 2016. 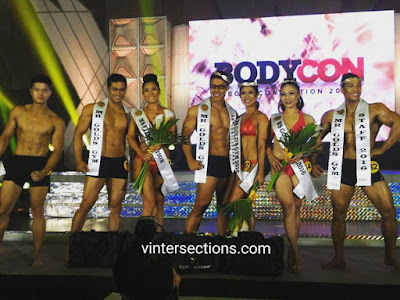 Hosted by Bobby Yan and Angelee delos Reyes, this is the 2nd edition of Gold's Gym Body Convention competition. Performers were Tim Pavino and UP Pep Squad. Congratulations to all the winners! Continue being an inspiration to all!